Like any other component of your home, ever so often you’ll be surprised to find that even your roof could use a little TLC, and when that happens, often times the damage starts on the outside rather than the interior. So here are three clues that will help you realize that’s time for a serious shingle makeover. It may be time for a new shingles if your current shingles have started curling and buckling. This is generally a result of poor ventilation. 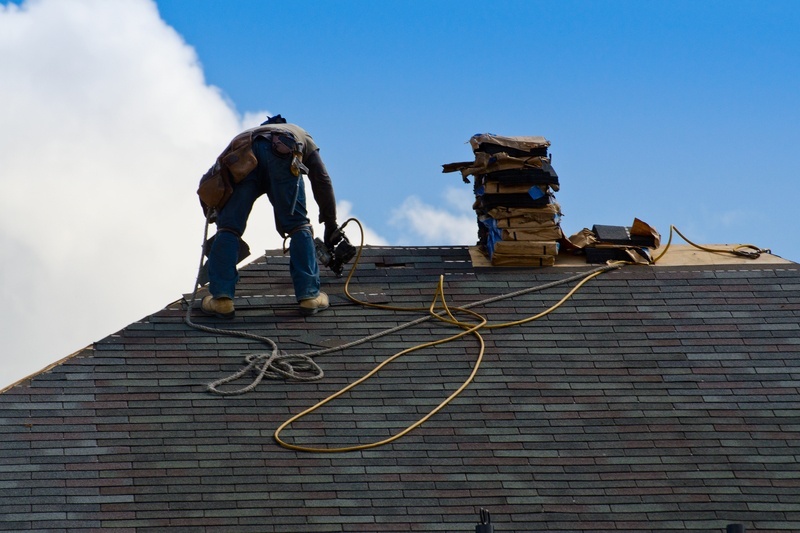 You shingles have experience overheating from the interior of your roof, as well as from the direct sunlight outside. The heat has cause the sealants that were once holding your shingles in place to become weakened and lose gripping, allow your shingles to shrink and curl under extensive heat. Check the shingles that are receiving direct sunlight, if they appear disheveled or are easily breaking, this indicates that your roof has lasted beyond its expectancy. it could be time for some serious roof repair or maybe even consider a complete roof replacement. Are you losing granules? Have you checked your gutter recently and found that its stuffed with granules coming from your shingles? This is normally an indicator of some significant roofing wear and tear. Granules are used to preserve asphalt shingles, which are popular because they are easy to install and are relatively long-lasting. Granules were added to asphalt shingles to help preserve the longevity of the product. Asphalt shingles loose granules as a sign of aging. As the shingles get older, the adhesion that holds the granules in place starts to degrade and melt away. The older the shingles, the more granules become loosened and released. One clear sign of a deteriorating roof is shingles that have become very loose and have flown away. While it typically means that your home roofing is past its expiration and requires some detailed attention and quite possibly complete replacement. Missing shingles do not always indicate needs for a new roof. Sometimes, the problem can been resolved with some minor shingle or roof repair. Some reasons for missing roof shingles include; drying and cracking, inadequate installation, improper nailing, and one of the most popular – wind.